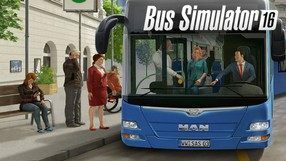 Bus Simulator is a console conversion of Bus Simulator 18 simulation game, released in 2018 on computers. The production is part of a series currently being developed by Astragon Entertainment and StillAlive studio. Another PC game belonging to a series of bus simulators published over the years by astragon Entertainment. Developed by StillAlive, the game includes vehicles from such brands as MAN or Daimler Buses, and gives us an opportunity to explore one of the German towns. Apart from driving as such, the player also has to interact with passengers (selling tickets for instance) and cope with various random occurrences. The career mode rewards being professional, being on time in different places, and driving with respect for law. The game can be experienced both solo or in the synchronous multiplayer mode, which is included in the game. 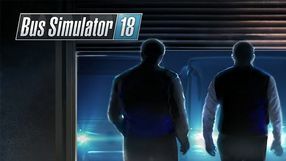 Bus Simulator 18 offers a game world two times larger than its predecessor - Bus Simulator 16. This new installment utilizes the worldwide acclaimed Unreal Engine 4, which was created by Epic Games. Another installment of a simulator series allowing you to play as a driver of public transport bus, developed by the British company Astragon. In contrast to previous entries in the series, the game was developed by the Austrian studio StillAlive, previously known for the action adventure game, Son of Nor. The new developer made sure that player's role is not limited only to driving, but reflects all aspects of a bus driver's work as closely as possible. Therefore, during the game we are also responsible for, among others, interactions with passengers, ticket sales, and dealing with various random situations that can happen in urban transport. Bus Simulator 16 introduces a reputation system in which our popularity changes depending on how well we fulfill our responsibilities. The passengers' trust, which translates directly into revenue and business development, depends on our actions. 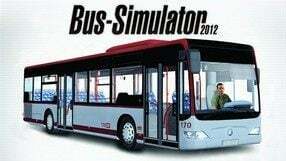 Bus Simulator 2012 is a simulation game, which is the next installment of the cycle developed by the German TML studio. The player has the opportunity to try his hand as a bus driver and transport the inhabitants of a virtual metropolis according to an extensive network of transport connections including more than 450 stops. A bus simulator in which we play the role of public transport manager and build our own empire. While having fun, we create routes, plan schedules, hire drivers and buy new vehicles. What is interesting, the game allows you to sit behind the wheel of one of the machines and transport customers on your own. City bus simulator, in which we can see on our own skin all the advantages and disadvantages of the driver's work. The creators of the game tried to recreate the everyday life of a public transport employee in a faithful way. This time the gameplay was enriched with a plot in which we follow the fate of a certain Carlos. The action takes us to the streets of New York - in the vicinity of Times Square or the Port Authority bus terminal. Simulator for recreating the realities of urban transport. We sit behind the wheel of one of a dozen or so buses, distributing passengers on the basis of the received schedule of journeys. We must comply with traffic regulations at all times. Optionally, we can also take care of bus network management. An urban bus network management simulator where we build our own transport empire in Megacity. The game is divided into two main campaigns: in the first one we play the role of the driver and distribute passengers, and in the second one we assume the role of the manager. In this edition of the game, the creators developed economic aspects.